The National Highway Traffic & Safety Administration (NHTSA) spent four years studying brake failure and degradation, which is the culprit behind many accidents, and discovered that road salt is a major factor in this potentially fatal occurrence. The agency issued a public warning, encouraging car-owners to thoroughly wash the underside of their vehicles, particularly if their car is a model from 2008 or earlier. Although the agency is American, Canadian roads are even more likely to be treated with road salt and therefore the warning applies to us, too. “Brake lines, they’ll just rust away, and it seems to be happening sooner on newer cars,” said Clint McKenzie, a service manager at Active Green + Ross in Barrie, Ont. “Which is pretty scary, given that if your brake line blows, your brakes are essentially gone.” Rather than a defect of manufacturing, brake failure is a product of rust eating away at the complex and delicate mechanisms which control and support the brake system. 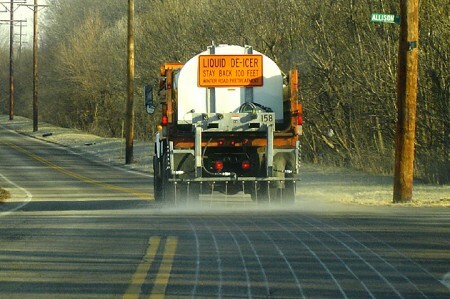 After a vehicle has been exposed to road salt for eight years or more, its underside is degraded and eroded enough to be at high risk for brake failure or other serious complications. Regular washes & an Oil Gard treatment each year can effectively prevent the corrosion and failure of brake systems.